Most of our operating locations in PNG are in rural and remote areas that can lack adequate public health care services and infrastructure. Where there is a marked difference between services available to our workforce and those available to local people, this could present a risk to our operational stability. We have therefore provided project area communities in PNG with access to health services since 1992. Through our participation in the PNG Infrastructure Tax Credit Scheme (ITCS), we also support the PNG Government’s development, rehabilitation and maintenance of health care facilities in our project area communities. OSF has delivered our community health programmes in PNG since 2011. The programmes are aligned with PNG’s national health priorities. Together with provincial and district health management teams, OSF is improving service delivery and strengthening health systems, to ensure better health outcomes for the 85% of PNG's population who live in rural areas. In addition to the work of OSF, we have a network of on-site clinics and medical resources in PNG run by our Medical and Occupational Health Service (MOHS) that can provide health care services to the local community as well as our workforce. See the Health section for more details. 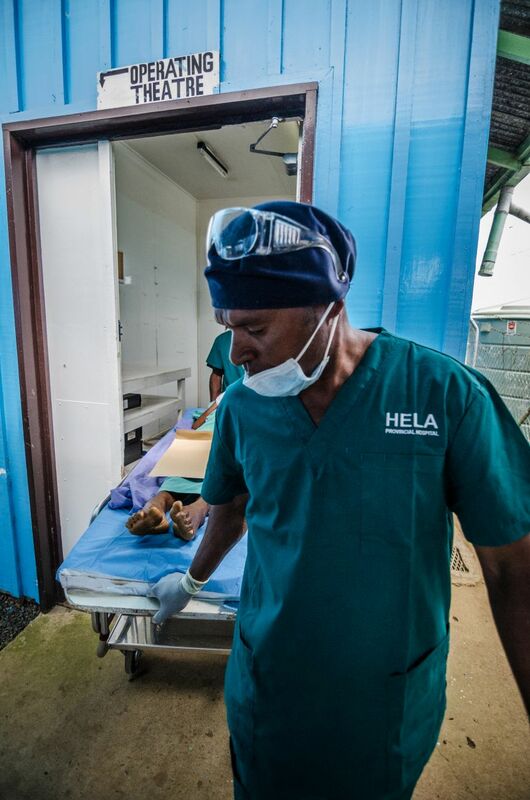 MOHS also supports the Foundation by providing clinical expertise when required, such as at the Hela Provincial Hospital, as described in our latest Social Responsibility Report. A large proportion of PNG’s rural population have limited access to safe and potable water and sanitation. Coupled with events such as flooding, frost and drought and water- and food-borne diseases, this makes communities vulnerable to water scarcity and related health and hygiene issues. Oil Search and OSF are supporting communities in PNG impacted by recent drought and flooding through initiatives that support community access to reliable, clean and safe sources of water. We also support target communities and schools so they have access to clean water, hand-washing and sanitation facilities.